Dealerships are currently offering good promotions across the board on low-powered motorcycles and scooters, making now a brilliant time for new riders to get involved in biking. The small motorcycle market is one of the UK’s biggest, with recent figures released by the Motorcycle Industry Association (MCIA) showing that the best-selling bike of the year up until the end of August was the Honda PCX125 scooter, at 1445 new registrations. This was followed by the Honda NSC 110 WH scooter, with 1341 sales. 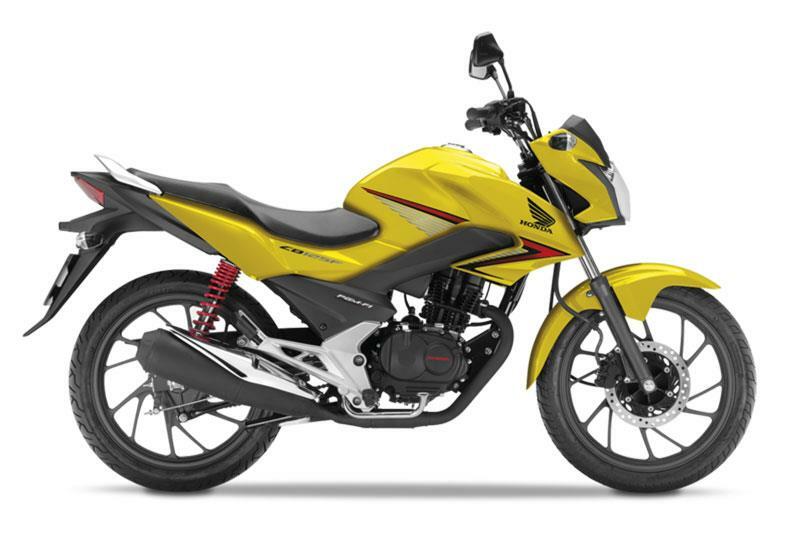 Also in the top 10 best-sellers list were Honda’s CB125F, along with Yamaha’s NMax 125 and MT-125. Keen to tap into this market, Blade Motorcycles’ Swindon branch are now giving customers a free CBT with any new 50cc or 125cc Aprilia motorcycle or scooter sold, as an incentive for youngsters to take to two wheels. 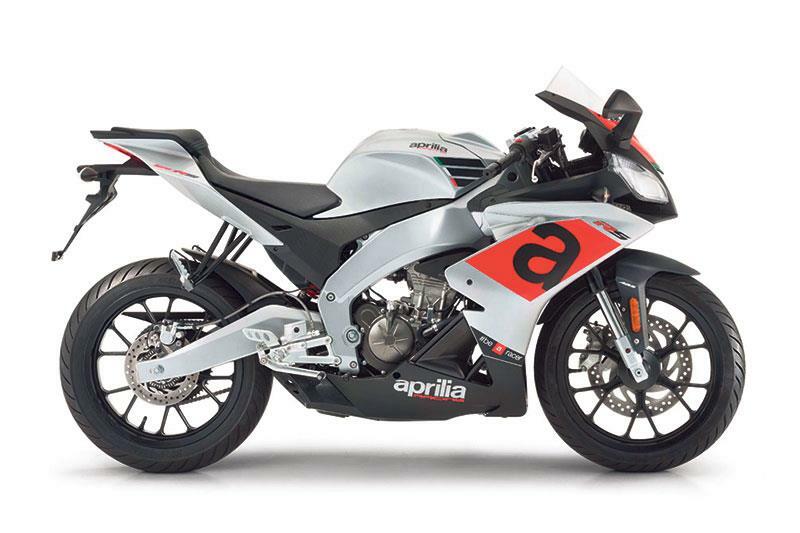 This is in conjunction with Aprilia’s own 0% finance offer, already in place on the RS125 Replica GP, Tuono 125 and RS125. 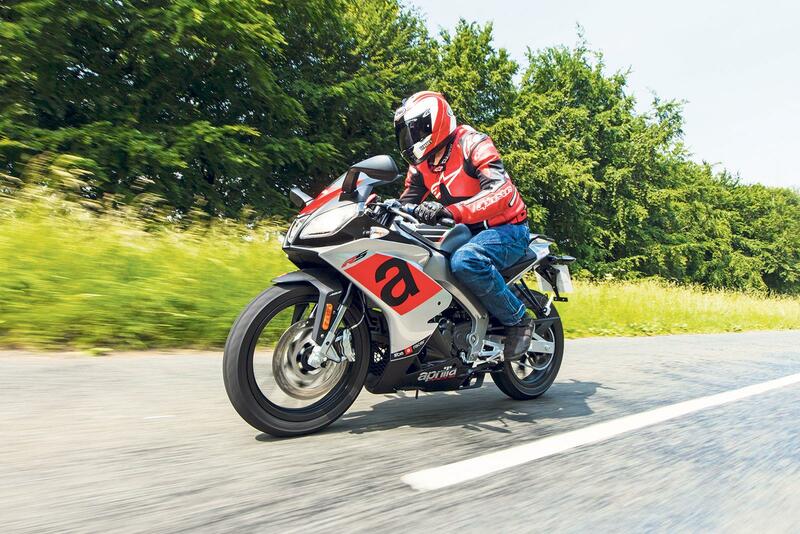 Available both on finance and PCP, MCN spoke to General Sales Manager Paul Dobb, 37, who said: “If nothing else, it raises the awareness of the motorcycle to young people. The CBT offer will soon be introduced on all 125 KTM machines too, after the dealership took on the Austrian brand on Saturday, September 9. Elsewhere, Peugeot motorcycles are providing a free accessory pack worth up to £168 when you purchase a new Tweet 125 scooter. The options include a topbox and rider cover (£142), a commercial rack (£150) or a topbox and screen (£168) – perfect for commuters. Away from A1-licence-machines, there are some great promotions to enjoy on A2-friendly bikes as well. 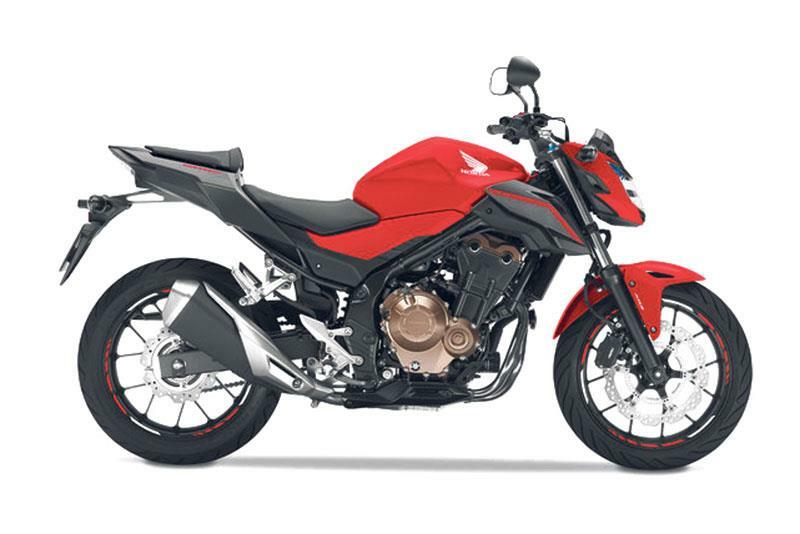 This includes Honda’s naked CB500F, which is currently available for £45.20 over 36 months on a 0% PCP offer at Hunts Motorcycles, Manchester. Available in three colours and with a deposit of £1699, the bike comes with a 4000 annual mileage limit, making it the ideal first big bike for novices looking for some weekend fun.